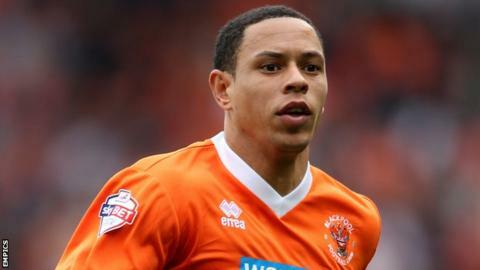 League Two side Fleetwood Town have signed Blackpool striker Nathan Tyson on loan until 1 January. The Cod Army are short on attacking options after losing and David Ball with ankle and shoulder injuries respectively. Tyson, 31, on deadline day in September and made six substitute appearances, without scoring, for the Seasiders. He is set to make his debut at home against Mansfield on Saturday. Fleetwood have also included another new loan signing - teenage in their squad for the match at Highbury.